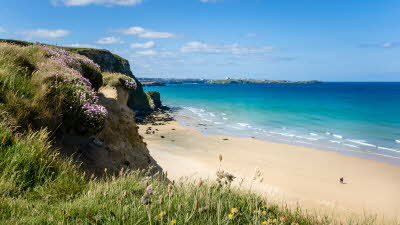 The UK and Europe boasts some of the best beach and coastal destinations for a perfect holiday in the summer. Whether you enjoy active beach breaks, exploring fishing villages or strolling along beautiful sandy beaches there’s something for you. 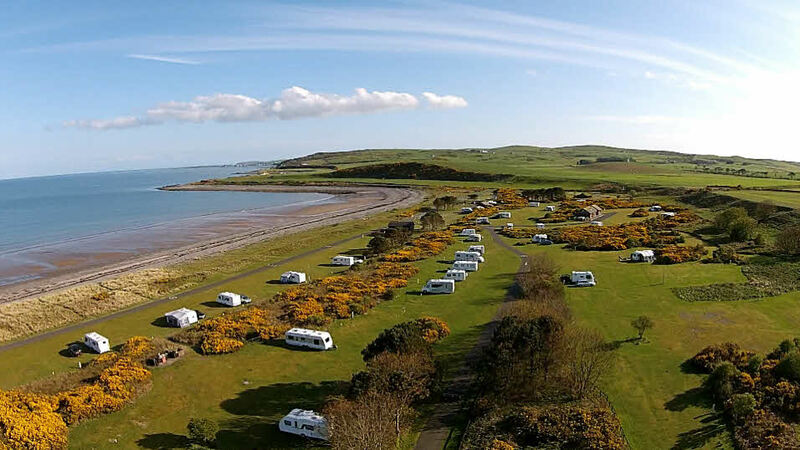 Many of our Caravan and Motorhome sites are located near to beautiful beaches with touring and camping pitches available for summer. Check out our handy guide below. 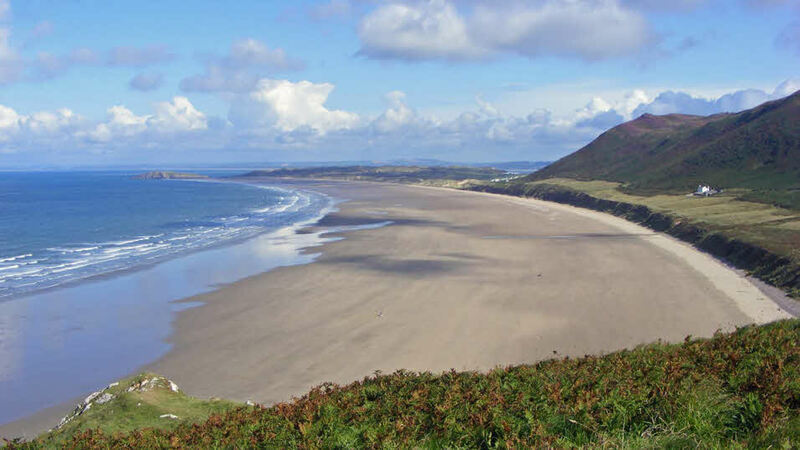 Explore the wide expanse of fine white sand which stretches for three miles, providing toes-in-the-sand walks for anyone who visits Wales. 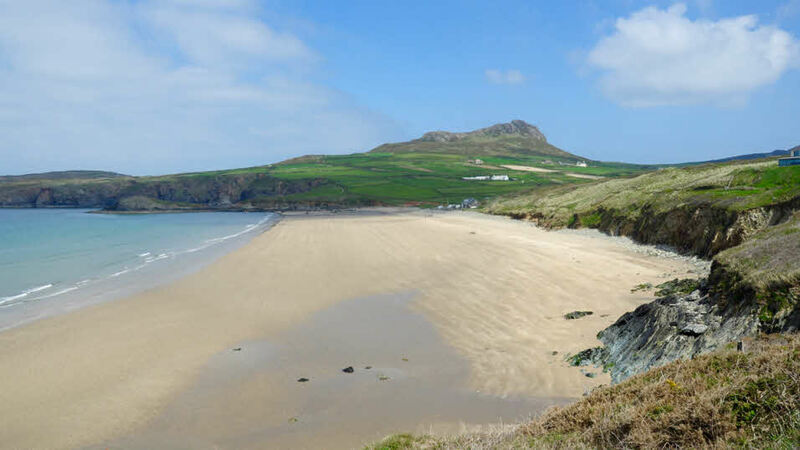 Whitesands Bay is one of the best surfing beaches in the UK and very popular with those looking for activity holidays or adventure days out. On busy days there are canoeists, body boarders and keen surfers looking out for the perfect wave. Backed by dunes with extensive sandbars at either end, this fine sand beach is gem to explore. Behind the dunes you’ll find the Saltings nature reserve and Pembrey Country Park, creating the perfect location for a top UK nature holiday. 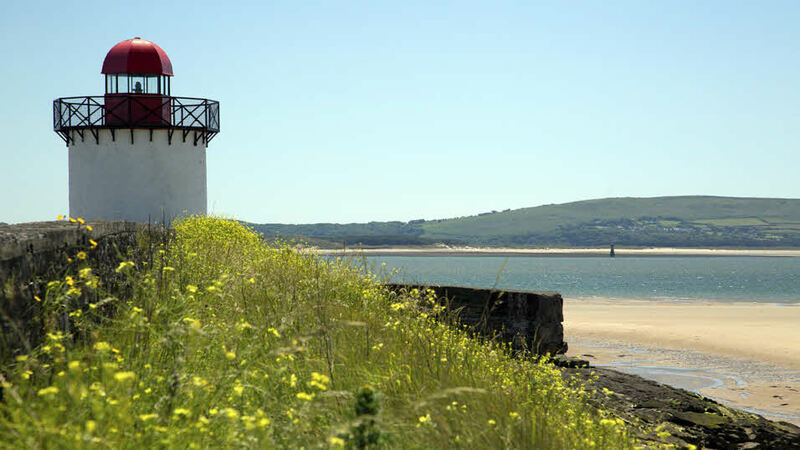 A very popular UK nature holiday resort for anyone interested in botany and bird watching, Freshwater East is centered on a wide bay of golden sand and a variety of flora and fauna, which is a huge draw for wildlife. This beautiful, expansive golden sandy beach can be viewed from its cliff-top overlook, where you’ll see coastal views of the bay. 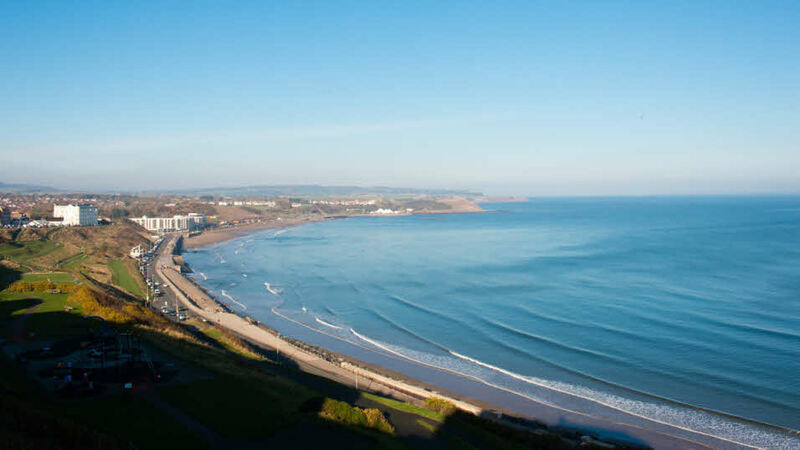 This largely National Trust owned Area of Outstanding Natural Beauty is perfect for walking with your dog, picnics on the beach and a spot of surfing. 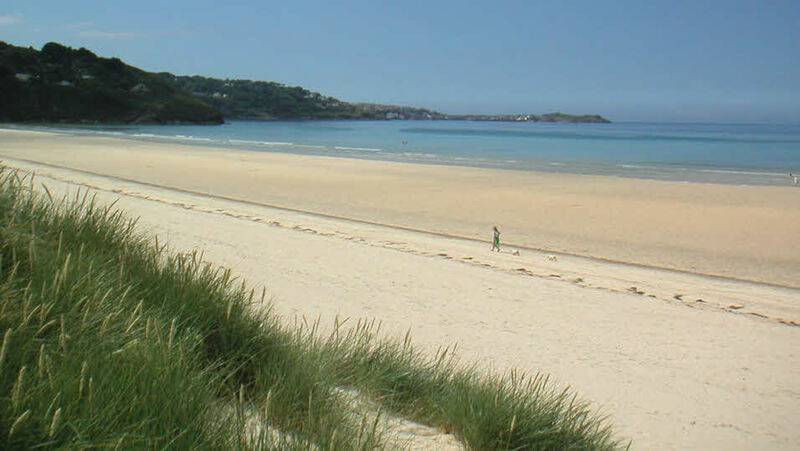 Located near Penzance, the glorious sandy beach at Godrevy has the added benefit of being connected to Gwithian beach when the tide is low, forming a truly impressive sandy stretch. At the end of the beach there is a rocky headland and perched on an island hugging the coast is a lighthouse with a story to tell - being the famous Godrevy lighthouse in Virginia Woolfe’s ‘To the Lighthouse’. 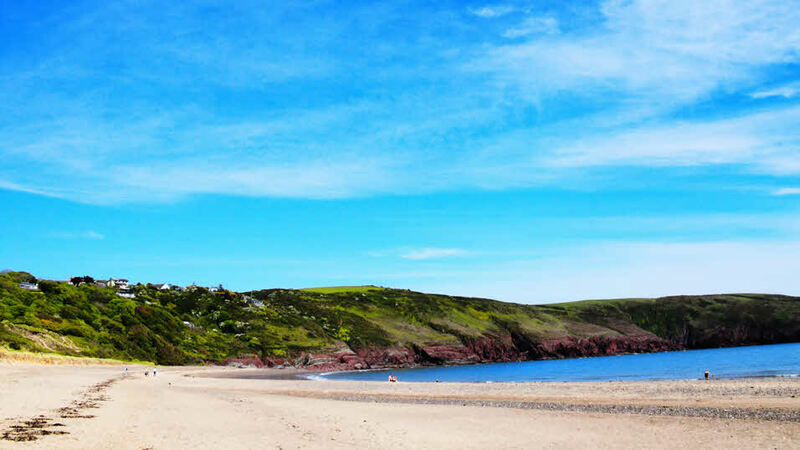 One of the top beaches in Devon, this unusual three-mile long beach faces the sea on one side with a lake on the other. 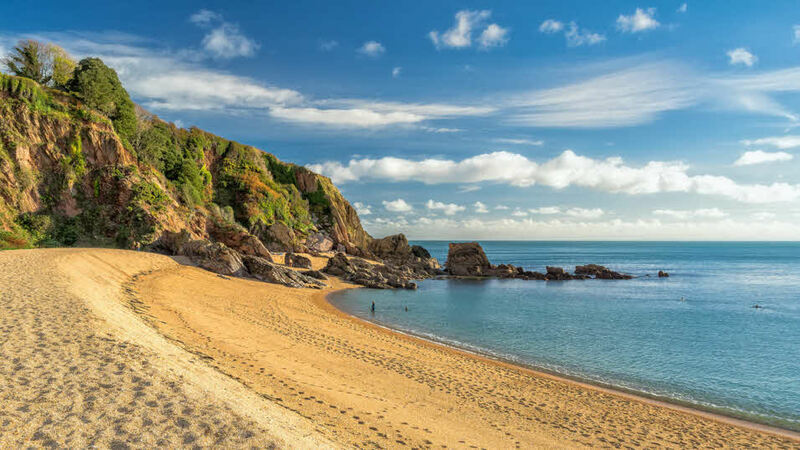 Slapton Sands is dog friendly so is perfect for a bracing dog walk along its long and narrow stretch. 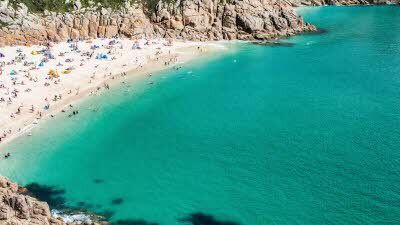 This stunning location on Cornwall’s Porthcurno beach is a perfect little haven for the master sandcastle builder and the paddle boarder alike. 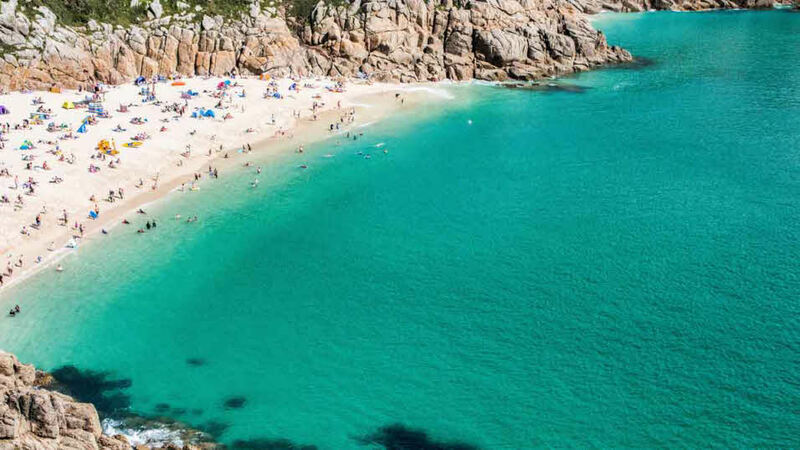 Set in a rocky, secluded bay, you can enjoy the soft white sand between your toes, as well as the rolling, turquoise waves that come in off of the Celtic Sea. 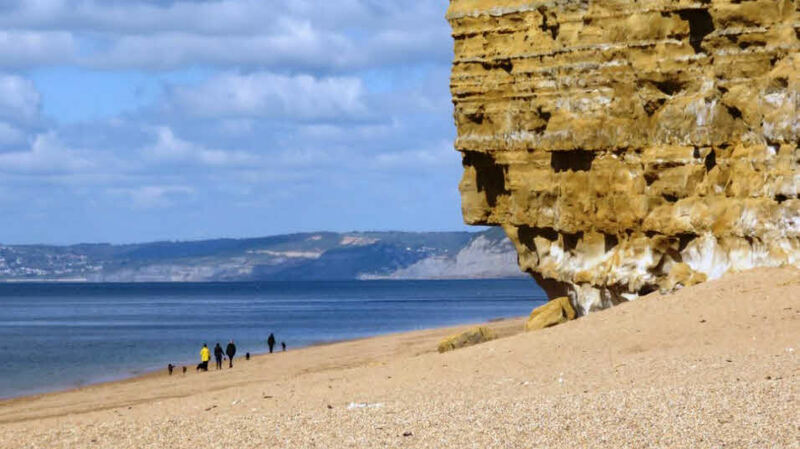 Enjoy Hive beach’s beautiful expanse of golden sands and shingle, set up against the rugged limestone cliff side and wild, grassy dunes. Right on the Jurassic coast, there’s plenty of opportunities for coastal walks, sunning yourself and of course, hunting for fossils! 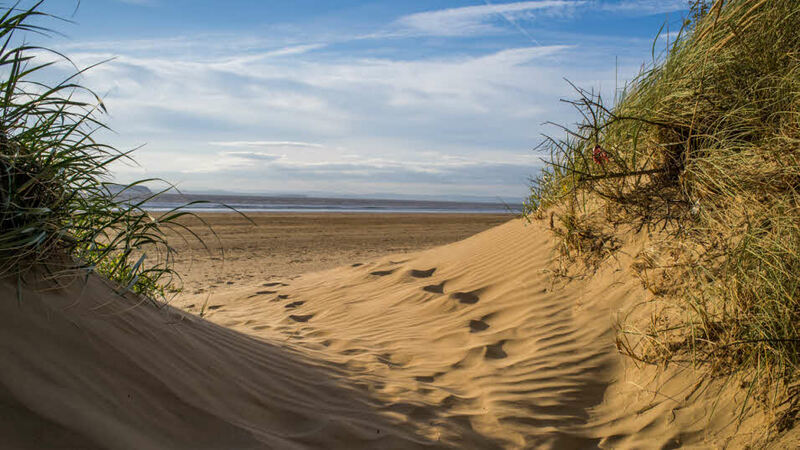 This top Somerset beach, which stretches for seven miles all the way to Burnham-on-Sea, boasts one of the longest stretches of sand in Europe and at low tide the mud flats are exposed. 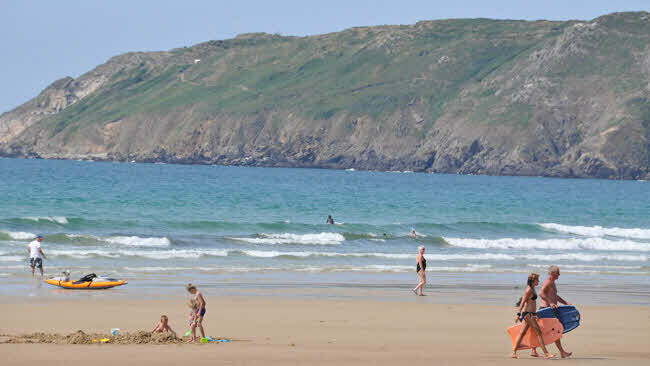 Brean Sands is a wonderful place for long walks or for the beach-sports enthusiast for an activity holiday. 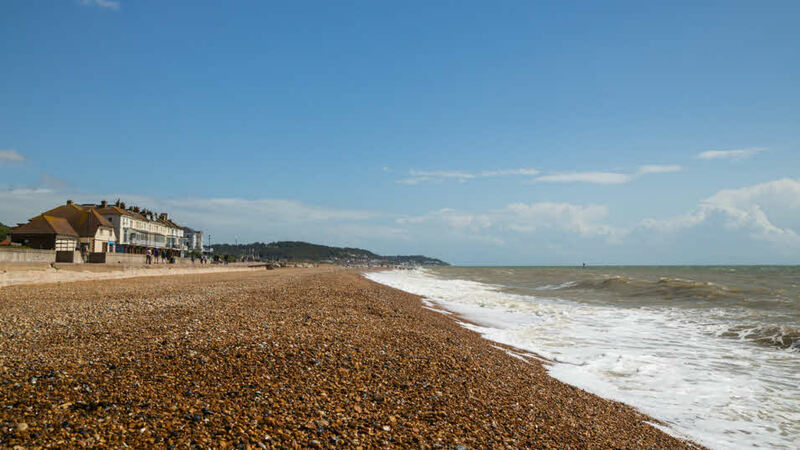 Explore the classic Victorian promenade which hugs the shingle coastline, with low tide revealing the sand on this coastal town beach. 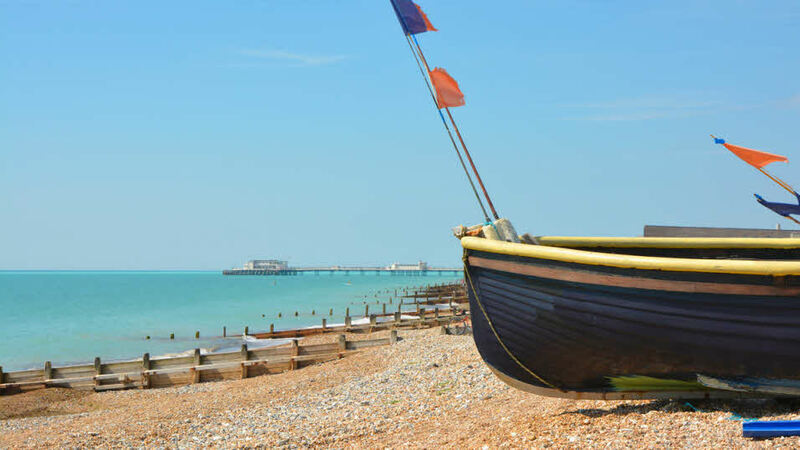 For those looking for a Sussex beach in a peaceful English seaside town, Worthing is hard to beat, with regular live music events to enjoy over the summer. 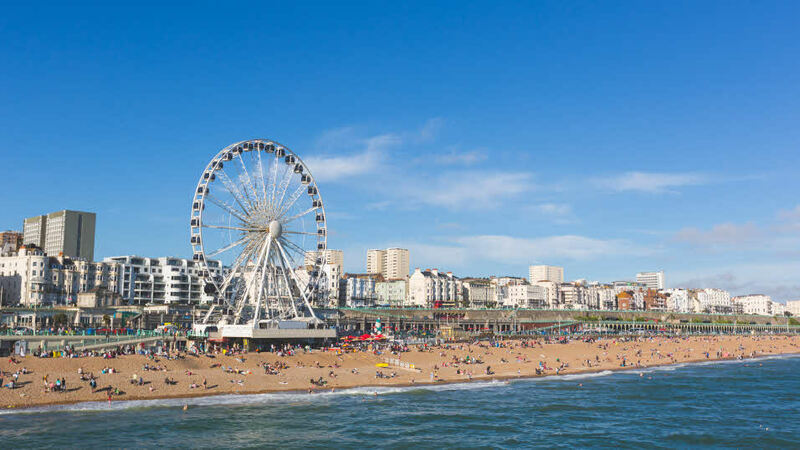 Brighton is home to one of the most vibrant beaches in the UK with plenty to see and do. 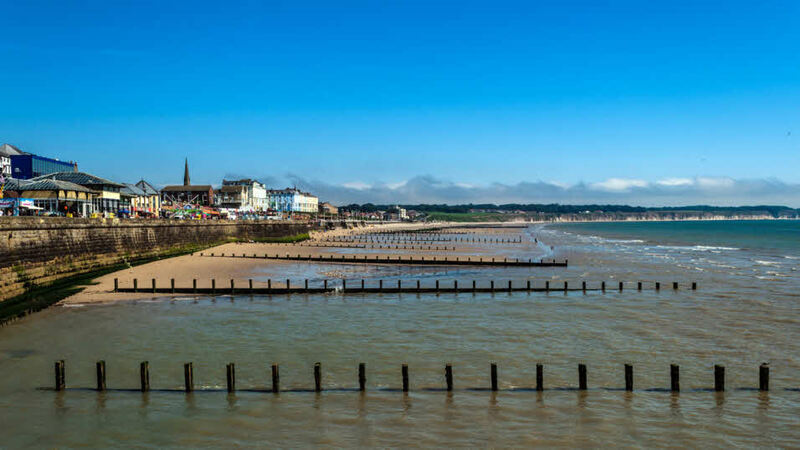 Boasting not only an iconic Victorian pier with a helter skelter and arcade games, visitors can enjoy mile upon mile of safe shallow bathing and promenade walks. This pebble beach makes for a stunning backdrop to the Victorian seafront promenade. The perfect spot for cyclists and walkers, you can enjoy the coastal views, fresh sea air and of course that marvelous beach. 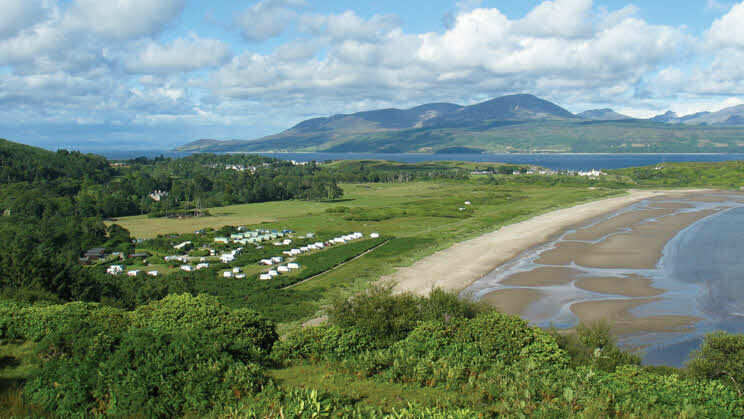 Carradale is a charming village that revels in peace and tranquility. Visit the picturesque and perfectly formed harbor, dotted with fishing boats, and enjoy the stunning views across the Sound of Arran. Yellowcraig is a top beach for families, with a nature trail and a number of footpaths that weave their way through woodland for those with an interest in nature adventure holidays. 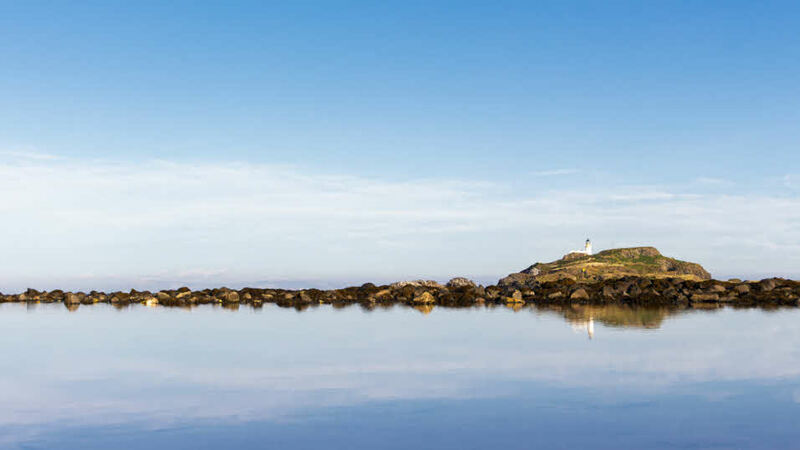 Enjoy spectacular beach views to the lighthouse on Fidra Island –the very spot that became the inspiration for the Robert Louis Stevenson classic; Treasure Island. This immaculate, seven-mile sandy beach with its many facilities is without a doubt the best beach in the area. 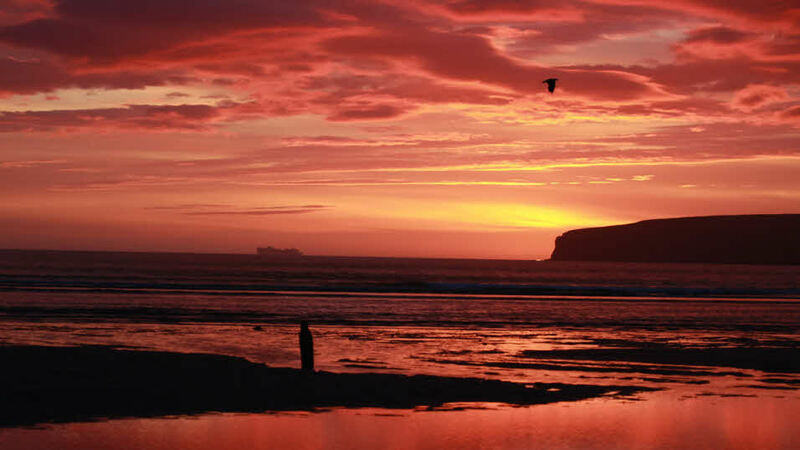 Luce Sands is located near Galloway and Dumfries, and the beautiful village of Sandhead to the west. The village offers all you need for a glorious beach holiday, with the Tigh Na Mara pub amongst the best. This beach forms a sweeping arc of white sandy beach backed by rolling sand dunes where the site sits, giving you direct access to the beach. 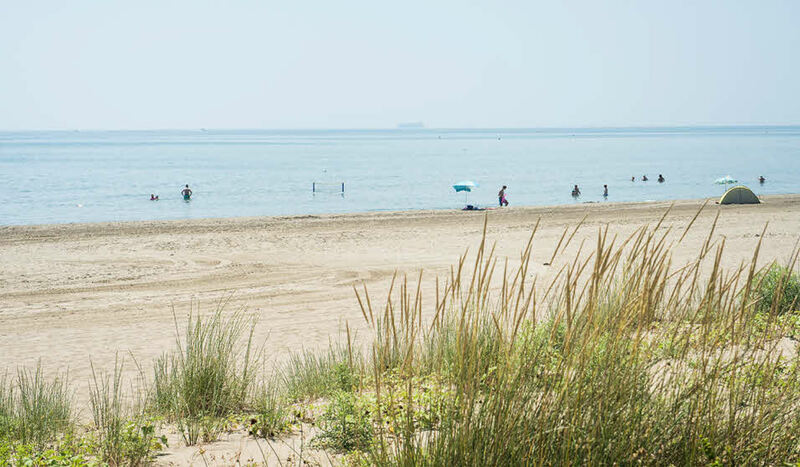 In a sheltered bay, the sand stretches for over two miles and offers great opportunities to sunbathe, paddle, swim and partake in any beach sports that take your fancy. This delightful sandy beach is a must if exploring rock pools is something that floats your boat! At low tide numerous nooks and crannies are filled with seawater, making them perfect for searching out crabs and other little sea creatures. 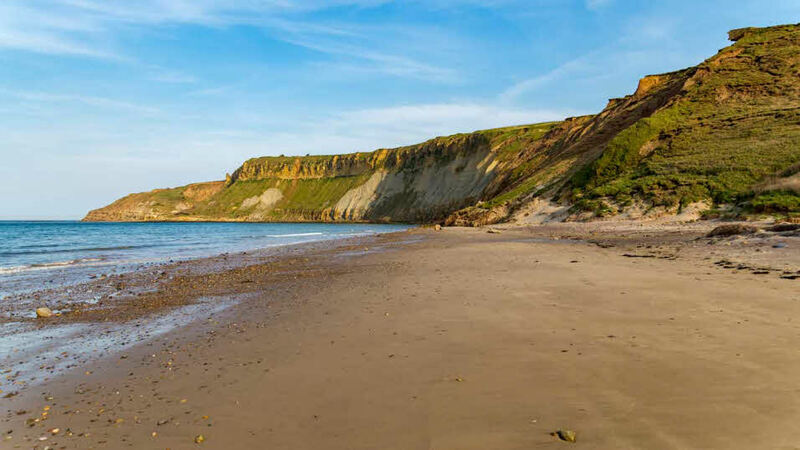 Bridlington's sand and shingle beach boasts impressive views of the vertical chalk cliffs of the Flamborough Headland, which are teeming with thousands of sea birds, there to nest and breed. This is the only mainland Gannet nesting site in the too, so it’s a unique nature holiday beach for birdwatchers. 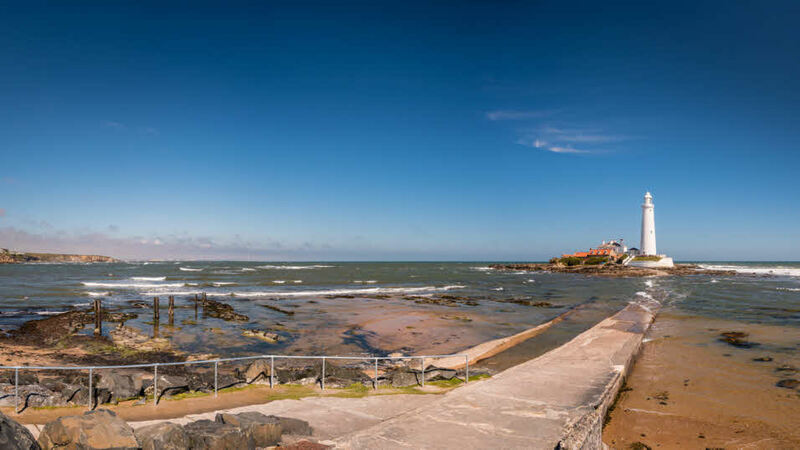 Whitley Bay Beach, near Newcastle upon Tyne, is the proud holder of a golden sand Blue Flag for its award-winning beach, ranking it officially among the best beaches in the UK. Every summer, the annual sandcastle competition is held – a hugely popular event which attracts both locals and visitors. 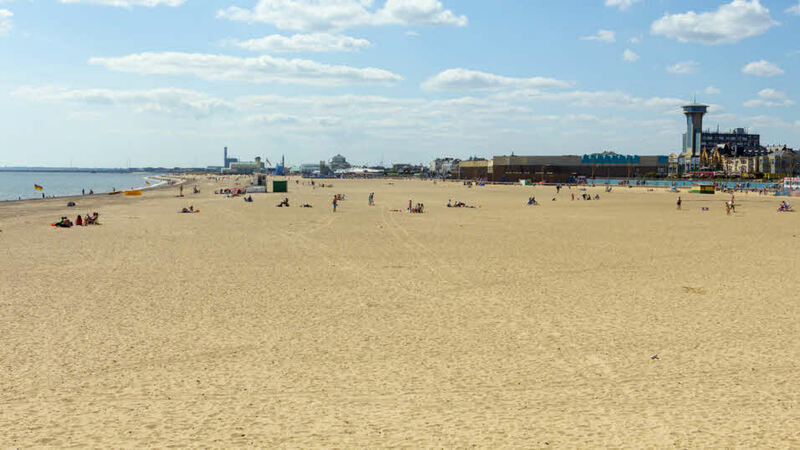 This excellent sandy beach sits beside a small coastal village in Lincolnshire - a traditional, old-fashioned seaside town with wide and pristine golden sands that are perfect for beach games, picnicking, making sandcastles and catching crabs. It’s been a bit of a secret, known by a few, and loved by them all. 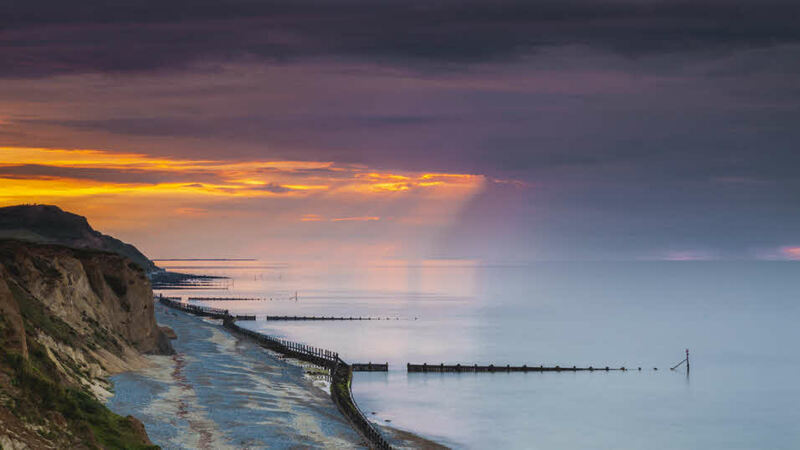 This beach is popular with divers and surfers, but perhaps the most fascinating thing about West Runton is its importance geologically. West Runton has been designated a Site of Special Scientific Interest, thanks to the discovery of the now famous West Runton mammoth - the largest nearly-complete mammoth skeleton ever found. Soft and clean, this beautiful sandy beach near Norwich stretches for 15 miles along the Greater Yarmouth Norfolk coastline. 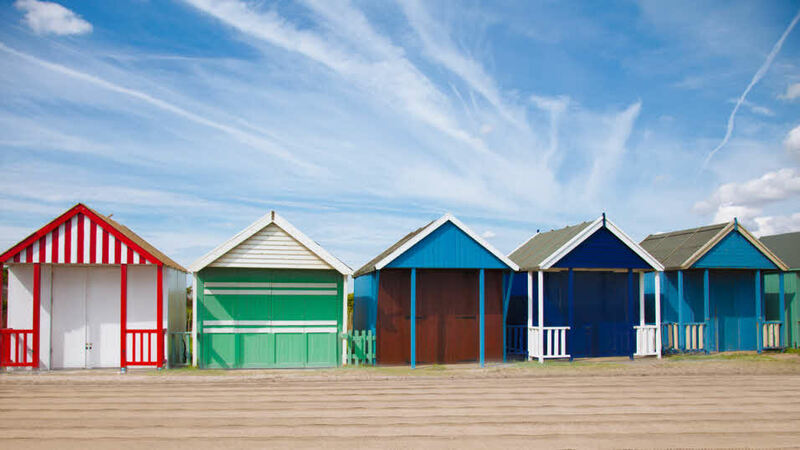 Sand dunes and seaside amusements adorn one of the best and most beautiful stretches of beach in East Anglia. 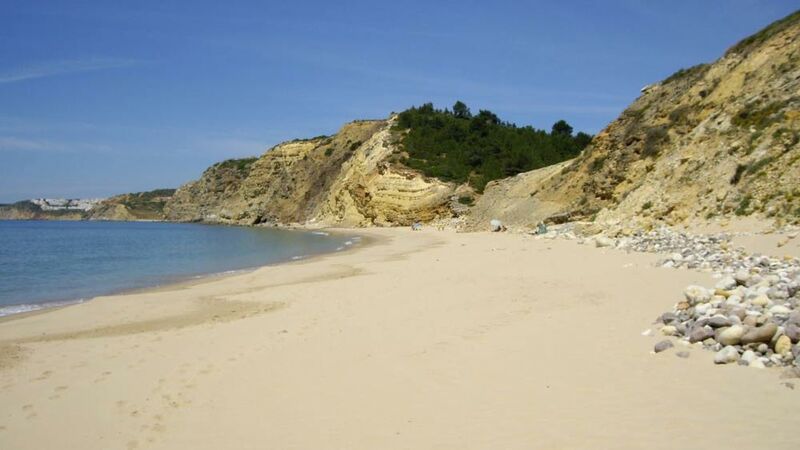 This peaceful Portuguese beach is covered in white sand and is secluded by striped red and grey sandstone cliffs. It’s a perfect little spot for relaxing in the sunshine and getting away from it all. There is a restaurant on the beach which means you can spend the whole day sunning by the shore. Ca’Savio has miles of light-gold sand-coated beaches that are broken up by stony groynes. Not only is this a beautiful spot to enjoy the sun, sea and surf; you’re also very close to the centre of Venice – about an hour away by car or if you take the local ferry; famous for its netowk of waterways and canals, accessible by gondola. 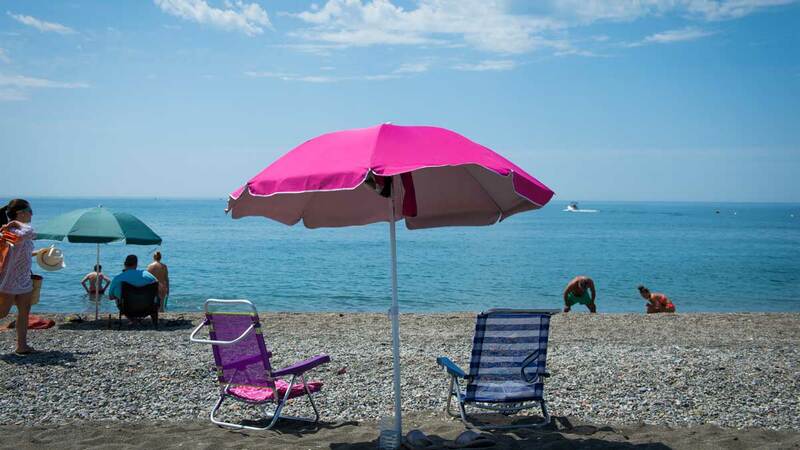 The Costa del Sol is the holiday makers calling. Golden sandy beaches along the coast as far as the eye can see – an ideal summer holiday destination for the whole family. Torre del Mar is easy to access on the local bus if you don’t have your car and you can enjoy the whole day there due to the number of cafes, bars and shops. 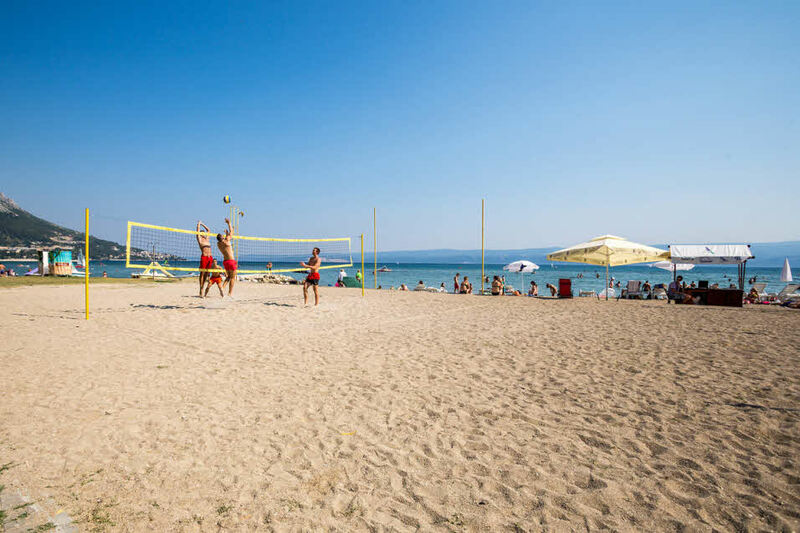 At this stunningly beautiful location, Omis beach sits in front of the entrance to the Omis River. 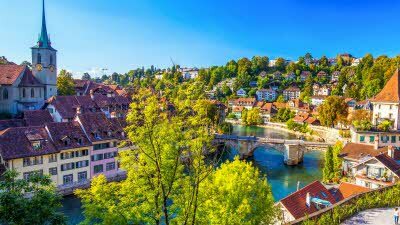 From the beach, you'll see pretty, golden sands and emerald green sea; behind you and beyond the river are the distinct red-roofed, white wash houses at the foot of a rocky, mountainous landscape - truly picturesque. This pretty beach has a vast stretch of flat sand and sand dunes, bordered by rugged, rocky cliffs. 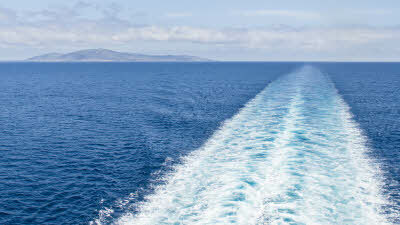 If you are looking for an easy to reach escape across the sea, then this holiday spot is the perfect location. The nearest ferry port to get you to Normandy is Portsmouth to Caen via Brittany Ferries.